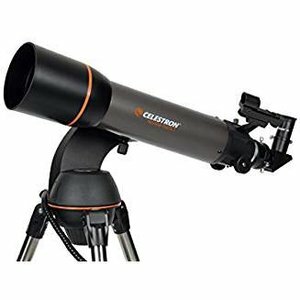 This is a fantastic, boxed as new ex-Demo Celestron Nexstar 102 GOTO telescope. Perfect for beginners at an affordable price. The 102 SLT is a wide-field telescope that is well suited to scanning large areas of the sky and for terrestrial observing with a 45 deg image erecting prism. 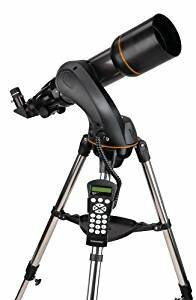 Like the other models in the SLT Series, it includes a fully computerized hand control with a database of over 4,000 celestial objects. With its pre-assembled, adjustable steel tripod, the NexStar 102 SLT can be up and ready to use in a matter of minutes.